1. Antivirus: Avast, Avira, AVG, Comodo, Eset, Kaspersky, Malwarbytes, Smadav dll. 2. CD&DVD: Alcohol 120, Ashampoo,Cyberlink Power DVD, Daemon Tools, Nero, Power iso dll. 3. Converter: Wondershare Converter, Format Factory dll. 4. Internet: Flash Player, BitTorent, UTorent, Google Chrome, Mozilla FIrefox, Opera, IDM, WhatsApp dll. 5. Image & Photo: ACDSee, Ashampo Photo Optimizer, Picasa, Photo Instrument dll. 6. Media Player: Aimp, Gom Player, K-Lite Codec pack, Media Player Classic, VLC, Wonderser Converter dll. 7. Microsoft Tools: Microsoft Visual C++ All Version, Microsoft Net Framework All version. 8. 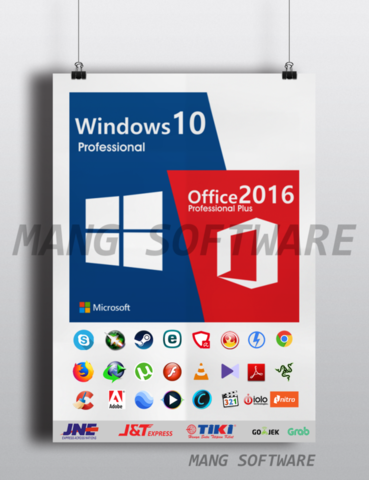 Office: Microsoft Office 2007-2016, Adobe Acrobat, Nitro PDF, PDF XChange dll. 9. System Tools: Winrar, 7Zip, CPUZ, GPUZ, Hardisk Sentinel, Notepad ++, Remote Dekstop, Battery Care, Total Uninstall, TechSMith Snagit, Iobit Driver Bosster dll. 10. Utilities: Adobe Shockwave, CCleaner, Advanced Systen Care, System Mechanic. 11. Game Tools: Razer Cortex, MSI Afterburner, Steam dll.